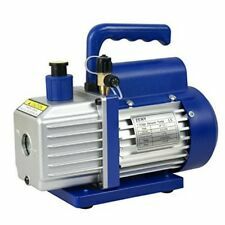 Multifunctional: The Vacuum Pump/Brake Bleeder is a multi-functional vacuum pump that is used to test a variety of essential vehicle settings and operations. 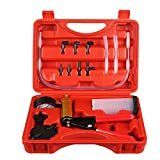 By using some of the included accessory caps and fittings it can also be used as a brake bleeder..
Tester: Cushioned pistol grip handle with vacuum gauge, simple operation, gauge range 0-30 inches Hg, 0-760 mm Hg.. 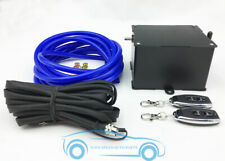 Complete kit includes accessories for both brake bleeding and automotive diagnosis. Vacuum pump set can test and diagnose a wide varity of parts and common systems on any vehicle..
Easy to use: Easily bleed brakes by yourself. 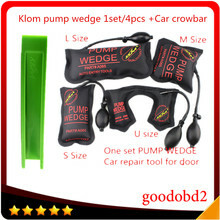 Coming with a carrying bag, made by high quality material, and easy to carry..
Hand Held Vacuum Pump Tester Set and Brake Bleeder KitDescription:The Vacuum Pump/Brake Bleeder is a multi-functional vacuum pump that is used to test a variety of essential vehicle settings and operations. By using some of the included accessory caps and fittings it can also be used as a brake bleeder. Features:Made by high quality material,durable and ruggedGood sealing performance,convenient installation,exquisite designSimple operation,easily bleed brakes by yourselfEquipped with vacuum gauge,convenient readout of pressureContained in a blow mold case for easy transportation and storageSpecifications:Condition:100% brand newMaterial:Alloy steel,plastics,rubberWeight:1.04kgDimension of case:13.5x 8.7 x 2 inch/34.3 x 22 x 5 cmPressure range:0-30inHg,0-760mmHgPackage include:1 x vacuum pump/brake bleeder with vacuum gauge1 x reservoir jar & 2 x lids1 x “T” hose connector1 x straight hose connector1 x universal cup adapter1 x blow mold case1 x user manual2 x 24" vacuum hoses2 x 3" vacuum hoses2 x tapered hose adapters3 x brake bleeder valve adapters[WARNING]DO NOT USE THE VACUUM PUMP TO SIPHON LIQUIDS.DAMAGE TO THE INTERNAL CHAMBER AND SEALS WILL RESULT. Hand Held Vacuum Pump Tester Set and Brake Bleeder KitDescription: The Vacuum Pump/Brake Bleeder is a multi-functional vacuum pump that is used to test a variety of essential vehicle settings and operations. By using some of the included accessory caps and fittings it can also be used as a brake bleeder.Features： Made by high quality material, durable and rugged Good sealing performance, convenient installation, exquisite design Simple operation, easily bleed brakes by yourself Equipped with vacuum gauge, convenient readout of pressure Contained in a blow mold case for easy transportation and storageSpecifications： Condition: 100% brand new Material：Alloy steel, plastics, rubber Weight: 1.04kg Dimension of case: 13.5x 8.7 x 2 inch / 34.3 x 22 x 5 cm Pressure range: 0-30inHg, 0-760mmHgPackage include: 1 x vacuum pump/brake bleeder with vacuum gauge 1 x reservoir jar & 2 x lids 1 x “T” hose connector 1 x straight hose connector 1 x universal cup adapter 1 x blow mold case 1 x user manual 2 x 24" vacuum hoses 2 x 3" vacuum hoses 2 x tapered hose adapters 3 x brake bleeder valve adapters[WARNING] DO NOT USE THE VACUUM PUMP TO SIPHON LIQUIDS. DAMAGE TO THE INTERNAL CHAMBER AND SEALS WILL RESULT. Hand Held Vacuum Pump Tester Set and Brake Bleeder Kit Description: The Vacuum Pump/Brake Bleeder is a multi-functional vacuum pump that is used to test a variety of essential vehicle settings and operations. By using some of the included accessory caps and fittings it can also be used as a brake bleeder. Features： Made by high quality material, durable and rugged Good sealing performance, convenient installation, exquisite design Simple operation, easily bleed brakes by yourself Equipped with vacuum gauge, convenient readout of pressure Contained in a blow mold case for easy transportation and storage Specifications： Condition: 100% brand new Material：Alloy steel, plastics, rubber Weight: 1.04kg Dimension of case: 13.5x 8.7 x 2 inch / 34.3 x 22 x 5 cm Pressure range: 0-30inHg, 0-760mmHg Package include: 1 x vacuum pump/brake bleeder with vacuum gauge 1 x reservoir jar & 2 x lids 1 x “T” hose connector 1 x straight hose connector 1 x universal cup adapter 1 x blow mold case 1 x user manual 2 x 24" vacuum hoses 2 x 3" vacuum hoses 2 x tapered hose adapters 3 x brake bleeder valve adapters [WARNING] DO NOT USE THE VACUUM PUMP TO SIPHON LIQUIDS. DAMAGE TO THE INTERNAL CHAMBER AND SEALS WILL RESULT.